The entire SmartStack solution can be managed extremely easily using intuitive graphical interfaces and powerful cloud management software. The Nimble Storage was designed to reduce administrator overhead. 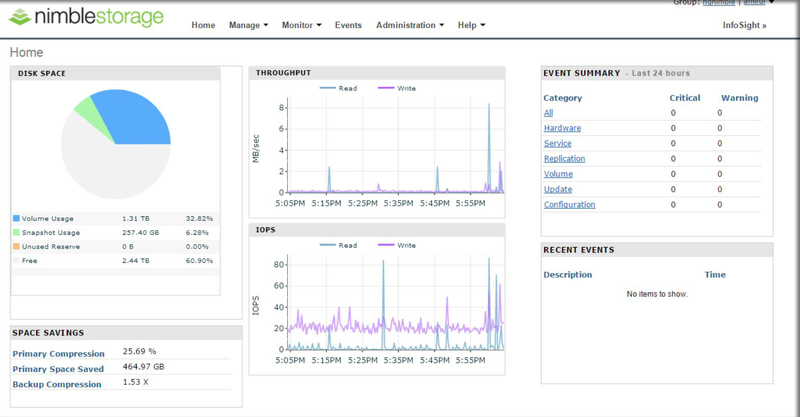 No need to configure raid groups, pools, NIC trunks, read/write caching policies, management servers, complex snapshot and replication software, etc. Just configure a volume and present it to your host and the system will automatically optimise the performance of this volume to deliver the low latency. Review and change the volume configurations, snapshot policies or upgrade the software or hardware easily without any service interruption, all from a single web based interface. 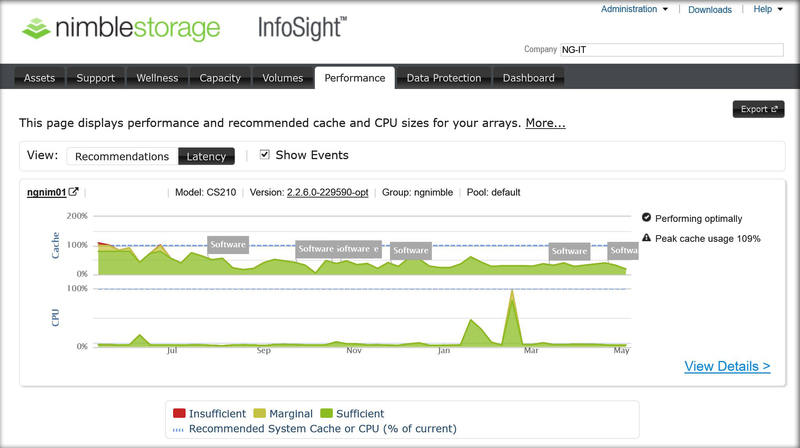 The InfoSight Portal consolidates and presents complex storage health and performance information into an easy to understand, graphical format providing information on capacity utilisation and trending, Storage and VM level performance analytics, protection and replication review and predictive wellness that identifies potential issues BEFORE they become a problem. The Cisco UCS is designed to provide stateless computing, thus server configuration are defined using profiles and applied to some or all of the servers. Using templates, server profiles can be deployed in minutes to 1 or a 100 servers very easily. 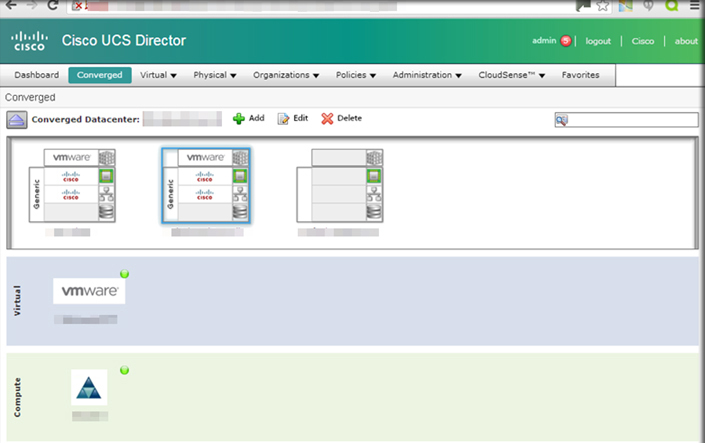 Server configurations can be altered with simple changes in the profile. The unified networking provides a reduction in required cabling and administration as network provisioning is performed with a few clicks. All of this along with simplified and automated firmware upgrades from a single management interface. Cisco UCS Director provide a single software solution to deliver private cloud solutions. 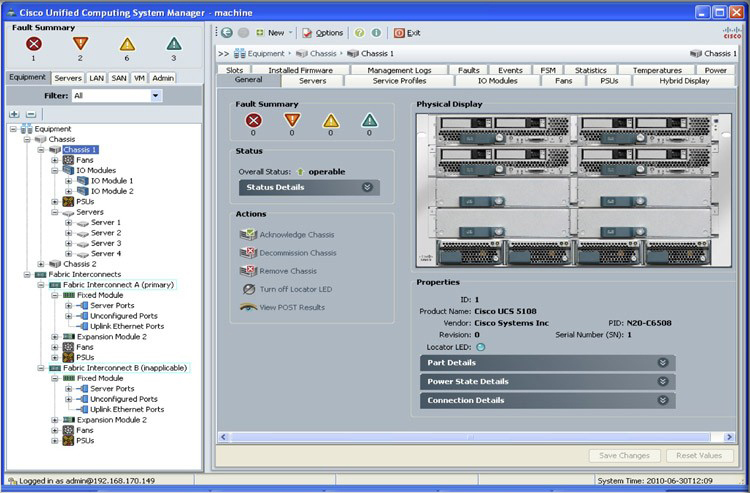 As well as monitoring and managing the components in the stack, the system can use orchestration workflows to automate standard administration practices, or create multi tenancy services with charge back and self-provisioning catalogues giving choice back to the end users, in a controlled and manageable environment.